Ok, here's the scoop on #48! 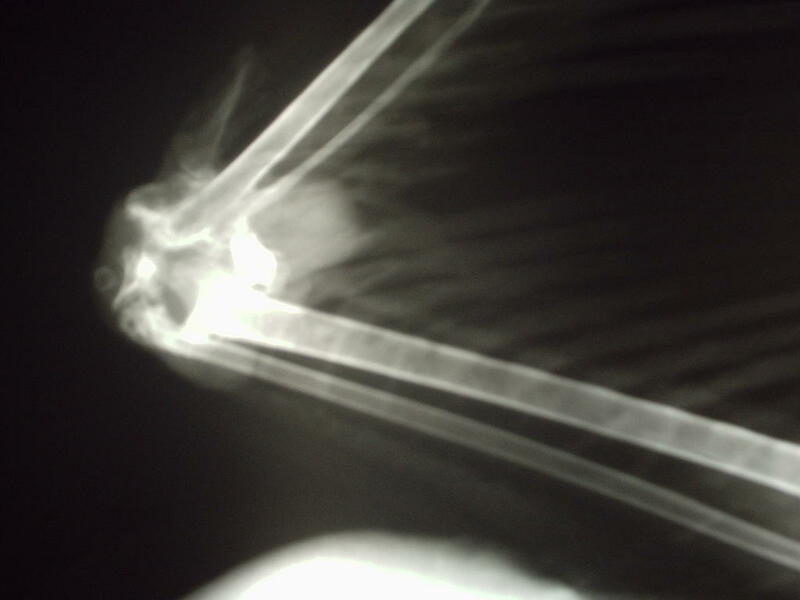 X-rays revealed an old dislocation of the left elbow with significant calcification of the joint. There appeared to be a small abscess involved as well. A culture of the fluid has been sent out to the lab for testing, and Dr. Palmatier drained the abscess to get rid of as much infection as possible. 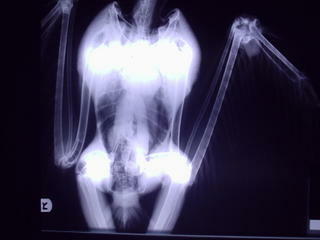 The bird is now on antibiotics and we wait for the culture results. Since this is an older injury we have started physical therapy to try and establish as much range of motion as possible for the bird, but it is unlikely that he will ever fly. We'll have to wait and see. Thanks for that update Cindy. You sure were able to put it in email a lot easier than I was able to write it down. Please keep us updated. On another personal note, my daughter Cassie turned 18 today. Happy Birthday Sassie Cassie!